This multidimensional photographic project was focused around the core concept of creating a visual narrative using a set series of three images to tell a story. This project was created for use in my Fall Photography 3195 Digital Imaging II course to challenge the students to first think creatively about the "story" they wanted to tell with an "animal" of their choice, and then to think critically about how they would execute their vision of this story with only three images. Below you can see the various animal "characters" chosen by some of the students. The Masks: The low-poly masks are a component that I have worked with a few times before, and it is a rewarding object to use, as students assemble and decorate the masks however they like, and the ease of which they can be put together makes them very accessible, even to students who claim not to have any skill in the "arts". 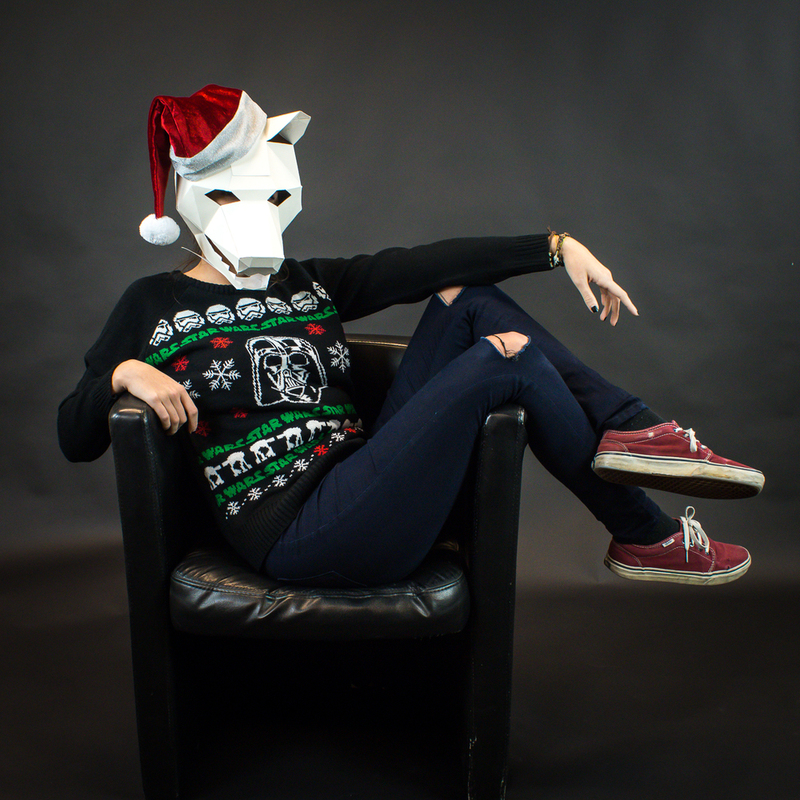 The masks come from http://wintercroft.com/ where you can choose from a growing selection of masks. They are relatively simple to put together, and only require cutting, gluing, and taping (and in some cases using some push pins) and can be assembled in a couple of hours. One of the reasons this element was incorporated into the project was to provide a prop element for the students to use when creating their work. This provided an added element for their execution of the project, by working with elements that needed to be shot correctly in-camera and balancing the work load from in-camera and post production. Below you can see a few of the student projects (in no particular order).